Abidjan is the largest city and former capital of Côte d'Ivoire. 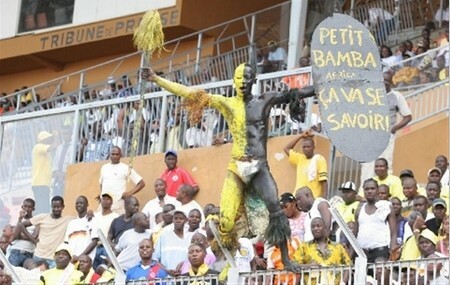 It is the commercial and banking center of Côte d'Ivoire as well as the de facto capital. Yamoussoukro is the official capital. The city is in Ébrié Lagoon. It is built on many peninsulas and islands which are connected by bridges. There are an estimated 4 to 5 million people living in the metropolitan area. The city grew after the construction of a new wharf in 1931. It was made the capital of the French colony in 1933. In 1983, Yamoussoukro was made the capital of the country, but most government offices and foreign embassies are still in Abidjan. 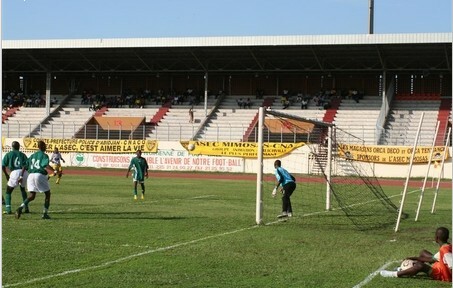 Stade Félix Houphouët-Boigny, nicknamed "le Félicia"
Abidjan Facts for Kids. Kiddle Encyclopedia.